St. Louis University's Longest Consecutively running chapter, celebrating our 63rd year on campus! See below for our Rush schedule for fall 2017. 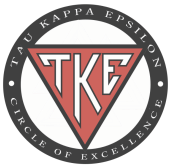 Welcome to the website for the Epsilon-Alpha Chapter of Tau Kappa Epsilon at Saint Louis University! For more than 60 years, TKE has been an active and involved member of Saint Louis University Greek Life. Living up to our motto, "Not for wealth, rank, or honor, but for personal worth and character," the men of TKE-EA are actively involved in bettering the lives of undergraduate men and improving their community. For more information about TKE, visit our National Website at www.tke.org, or contact one of our officers, listed on the members page.